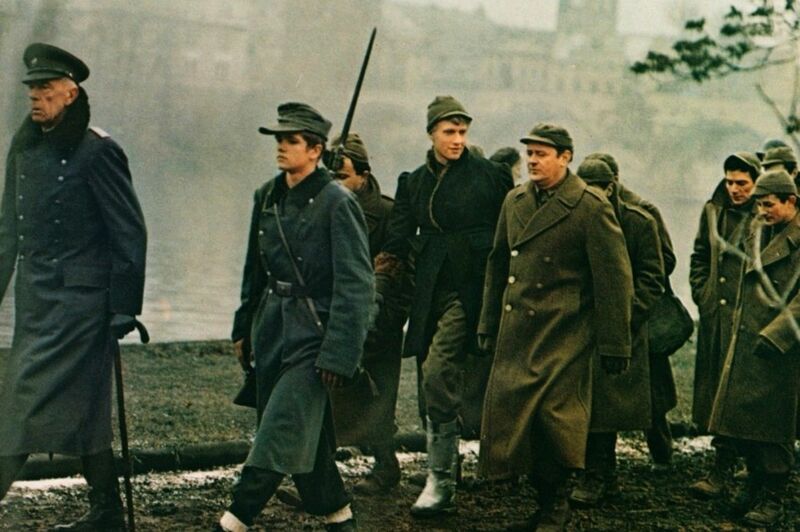 Director – George Roy Hill, Screenplay – Stephen Geller, Based on the Novel Slaughterhouse Five; or the Children’s Crusade by Kurt Vonnegut Jr, Producer – Paul Monash, Photography – Miroslav Ondricek, Music – Johann Sebastian Bach, Conducted by Glenn Gould, Makeup – John Chambers & Mark Reedall, Production Design – Henry Bumstead. Production Company – Vandas Productions/Universal. Middle-aged optometrist Billy Pilgrim suddenly finds that he has become unstuck in time. He is randomly thrown back and forth through the events of his life. He is forced to relive the time when he was captured as a POW by the Germans while serving as an infantryman in World War II and survived the Allied bombing of Dresden in 1945, through a dull middle-class post-War married life, to the far-flung future where he and Hollywood starlet Montana Wildhack have been abducted by aliens and placed as exhibits in a zoo on the planet Tralfamadore. The late Kurt Vonnegut Jr (1922-2007) contends as one of the great American writers of the 20th Century. Many think so and Vonnegut’s books are discussed in modern literature classes. Vonnegut’s work is shot through with a darkly barbed absurdism that mocks the inherent cruelty of an indifferent universe and the stupidity of the human condition. Much of Kurt Vonnegut’s work circles around being science-fiction, although this is a label that Vonnegut himself avoided. That said, many of Vonnegut’s earlier works were published in pulp science-fiction magazines and a substantial portion of output however could be classified as science-fiction, including his first novel, the anti-machine satire Player Piano (1952); The Sirens of Titan (1959), which reveals that all of human history has been manipulated by aliens in order to send an SOS message; Slapstick; or Lonesome No More (1976) concerning alien idiot savants; Galapagos (1985) where the devolved residents of the future observe the present-day; and Vonnegut’s final novel Timequake (1997), an autobiographical memoir wherein the title event causes people to live their lives over a second time. Vonnegut has also created the recurring character of the hack science-fiction writer Kilgore Trout. Slaughterhouse Five; or the Children’s Crusade (1969) is often regarded as Kurt Vonnegut’s greatest work. (One’s personal favourite among Vonnegut’s books goes out to his extraordinarily savage Mother Night (1962) wherein Vonnegut manages to ridicule almost all ideological bents). Slaughterhouse Five recounts Vonnegut’s own true-life experiences as a captured POW of the Germans during WWII and his surviving the Allied firebombing of the city of Dresden in 1945 that killed some 135,000 civilians. (The title Slaughterhouse Five was the name of the meat locker where Vonnegut and several other POWs were sequestered and managed to survive). The book, with its strong anti-War theme, was celebrated when it came out at the height of anti-Vietnam War movement. 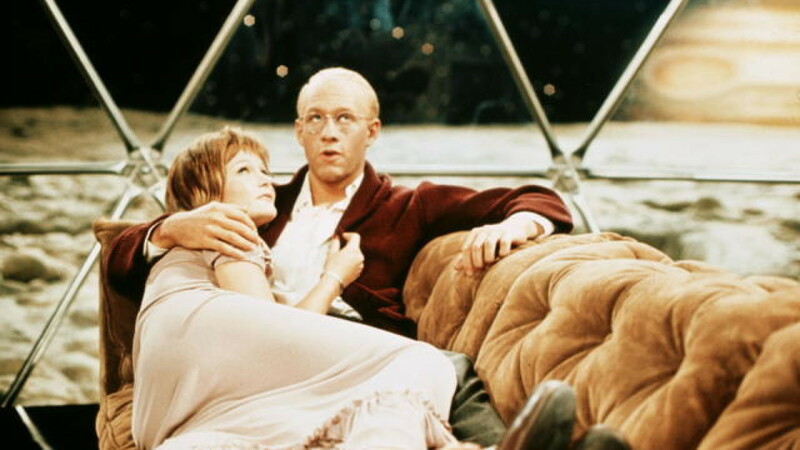 As a film adaptation, Slaughterhouse Five suffered from the usual “need to have read the book for the film to make any sense, and it doesn’t when you have” gripes. Having not read the book when first seeing the film, I must admit no particular problems. However, when I did read the book some years later, it is only then that the film’s clumsiness becomes apparent. The film’s greatest crime is the trivialisation of the book’s issues – be they Kurt Vonnegut’s dark irony, the very real tragedy of the bombing of Dresden, or the Tralfamadorian secret of happy life. Vonnegut wrote in a style that might be called absurdist fatalism, wherein he depicted events of overwhelming suffering and travelled throughout the space of his own life to arrive at an ironic shrugs of the shoulders – “So it goes.” The film misses this by a mile – there is no reaction to the misfortunes of Billy Pilgrim’s life or the War, there is not really any underlying reaction to anything, just a story with the quirky notion of a man flipping around in time and eventually ending up in an alien zoo. The film does occasionally come with a sense of black comedy that seems to be trying to ape Catch 22 (1970), another popular film of the era that also eviscerated its source work, but this seems to emerge in random bizarre bursts all over the place. One scene where Sharon Gans goes wildly out of control all over a highway in a car is so overblown that it becomes numbingly unfunny. Slaughterhouse Five is not without its small successes – some of the double-takes that occur when Michael Sachs flips from one period to the other are often amusing. Although where for Kurt Vonnegut the disjunctive non-linear narrative showed up true randomness – the book is written in a patchwork style that flips between parts of Pilgrim’s life in the space of the same page or even a new paragraph – for George Hill it is one of ironic counterpoint, an element that was not there during the book. A far better depiction of the random essence of the time flipping can be found in the Alian Resnais film Je T’aime, Je T’aime (1968), which in fact predates the publication of Kurt Vonnegut’s book. The reconstruction of Dresden has been beautifully managed. There is at least one small moment of screen-telling magic that George Hill manages – where the American POWs are led through the streets and start to relax to the jaunty music, dancing as the German children come out to join them. Glenn Gould delivers a nice score and the film is prettily photographed. However, the wider picture, especially Kurt Vonnegut’s notion of an elliptical, non-linear plot and his bleakly barbed pessimism, are light years beyond the film’s grasp. Other screen adaptations of Kurt Vonnegut’s work are:– Between Time and Timbuktu (1972), Slapstick of Another Kind (1982), Welcome to the Monkey House (1991), Harrison Bergeron (1995), Mother Night (1996) and Breakfast of Champions (1999). Kurt Vonnegut: Unstuck in Time (2017) is a documentary about Vonnegut. Slaughterhouse Five was made by George Roy Hill, who had made The World of Henry Orient (1964), Thoroughly Modern Millie (1967) was then riding on the success of Butch Cassidy and the Sundance Kid (1969). Hill would go on to make the likes of The Sting (1973), The World According to Garp (1982) and The Little Drummer Girl (1984), among others.